The Philippines is an archipelago with over 7,107 beautiful and unique islands, each blessed with spectacular beaches sparkling like shining and radiant crystals. Resorts in the Philippines are sprouting like dew grass. With the best kind of tropical weather, beaches are perfectly attuned for long and relaxing vacations. Beach resorts in the Philippines attract tourists and island travelers offering the full privilege to savor the great and one of a kind travel experience. With a vast array of beaches in the Philippines, the adventure is seemingly endless. Cebu is one of the most developed provinces in the country and the main center of commerce, trade, education and industry in the central and southern parts of the archipelago. It has five-star hotels, casinos, white sand beaches, world-class golf courses, convention centers, and shopping malls. Today, Cebu is a busy metropolis, recently having been chosen by Asiaweek Magazine as one of the best cities in Asia to live and play in. Linked to Cebu by a modern bridge is the island of Mactan, the home of Maribago Bluewater Beach Resort, a magnificent facility set on 5 hectares of immaculately groomed and beautifully landscaped grounds. Maribago Bluewater Beach Resort offers the best of Cebu and beaches in the Philippines for those who seek the ideal balance of creature comforts and nature's wonders. Maribago Bluewater Beach Resort is located just 15 minutes away from the Mactan Cebu International Airport. All the diverse pleasures of island living are at your doorstep, scuba diving, snorkeling, beach combing, swimming or just simply lazing under the tropical sun. Set on the shores of a prime white beach, Maribago Bluewater Beach Resort is a place where you can delight in complete relaxation along the lush coastline of Maribago, on Mactan Island, Cebu. Boracay is an island of the Philippines located approximately 315 km south of Manila and 2 km off the northwest tip of the island of Panay in the Western Visayas region of the Philippines. 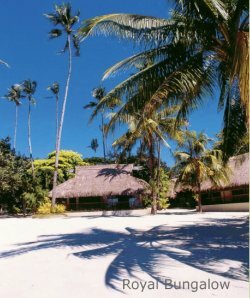 In 1990, it was voted by the BMW Tropical Beach Handbook as one of the best beaches in the world and again in 1996 by British publication TV Quick as the world's number one tropical beach. 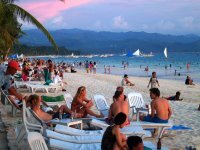 Boracay island topped the list of the World’s Most Popular Beach according to Yahoo! Travel. Boracay's two primary tourism beaches, White Beach and Bulabog Beach, are located on opposite sides of the island's narrow central area. White Beach faces westward and Bulabog Beach faces eastward. Where beaches in the Philippines are concerned, these are 2 of the best. White Beach is the main tourism beach. It is about four kilometers long and is lined with resorts, hotels, lodging houses, restaurants, and other tourism-related businesses. Bulabog Beach, across the island from White Beach, is a secondary tourism beach and Boracay's main windsurfing and kiteboarding area. Partly because of its wind and weather patterns, tourism in Boracay is at its peak during the Amihan season. During Amihan, the prevailing wind blows from the east. Boracay's main tourism area, White Beach, is on the western side of the island and is sheltered from the wind. During the Amihan season, the water off White Beach is often glassy-smooth. On the eastern side of the island, hills on the northern and southern ends of the island channel the Amihan seasonal wind from the east onshore, onto Bulabog Beach in the central part of the island's eastern side. This makes the reef-protected waters one of the ideal beaches in the Philippines for windsurfing and kite boarding.